About Us - Dale L. Ramsey CPA, Inc.
We are more than just your accounting firm; We are your valued business associates. At Dale L Ramsey CPA, Inc., we strive to meet our clients' needs by offering a broad spectrum of services in a cost-efficient and timely manner. Our philosophy is to be on the cutting edge of accounting with the latest technology and providing the highest quality of professional services. 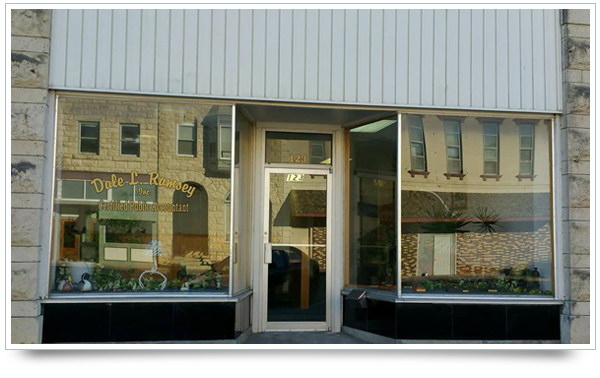 If you live in the Junction City, KS area and need assistance with your taxes, retirement, payroll preparation or bookkeeping, we are the accounting firm for you. Dale Ramsey is a graduate of Fort Hays State University and has been a Certified Public Accountant since 1994. He has been providing accounting services in Junction City since 1996 and founded Dale L Ramsey CPA, Inc. in 1999. He is a member of The American Institute of Certified Public Accountants and The Kansas Society of Certified Public Accountants.